18-wheelers are now driven across the country for safe and effective transportation of goods. Read more about 18-wheelers and their value in the marketplace within this latest post from our experts for commercial truck tires highlight interesting facts about 18-wheelers. The invention of the semi-truck is attributed to vehicle manufacturer Alexander Winton, who invented the vehicle as a solution to transport his trucks to customers throughout the United States. The invention can be traced back all the way to 1898. Within the American marketplace, the maximum load for 18-wheelers is 80,000 lbs. This maximum load has risen with the changes in trucking performance and technology. In Australia, the maximum load is now 300,000 lbs, thanks to the introduction of tractors attached to four trailers, which increase haulage power. 1.9 million trucks on the road in the U.S. 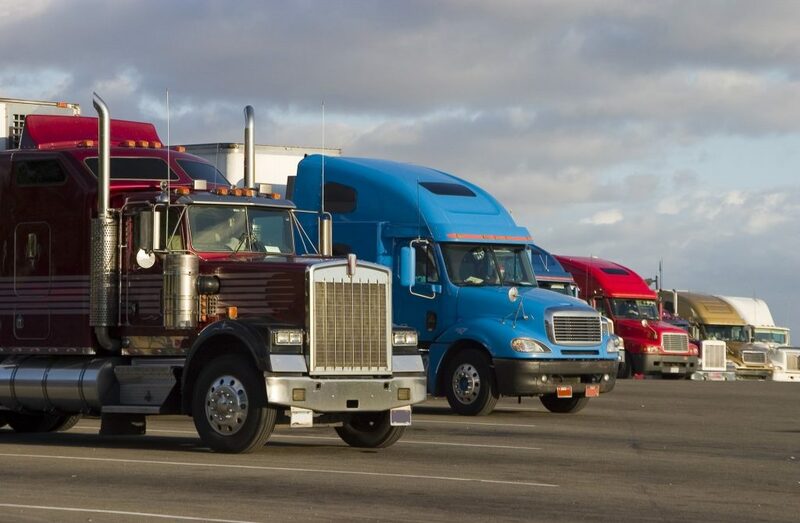 There are now 1.9 million semi trucks operating throughout the United States. One-third of the trucks are used in California, Texas, and Florida. There are also 3.2 million registered truck drivers across the country. A relatively recent innovation, mud flaps were invented to protect vehicles, passengers, and pedestrians from the mud and other debris that flies off commercial truck tires. They have also helped improve the truck’s airflow as well as to reduce the spray from water on the road. The annual fuel consumption for the average 18-wheeler is 20,500 gallons of fuel. This compares with the 500 gallons of fuel the average passenger vehicle consumes. The collective travel range for all trucks on the road is about 280 billion miles each year. Many within the industry still don’t have a clear understanding of the value diesel brings to the trucking marketplace. Fleet operators still use diesel in their trucks because the product contains 10-to-15% more usable energy than gasoline. This makes diesel-powered trucks more efficient and means they can travel 30% further on the highway per fill up. Working with local experts can help you to maximize the performance of your vehicles over the long-term. Our specialists for commercial truck tires are here to guide you in your fleet choices. To discover more about 18-wheelers and their performance, call us today and speak with an expert.